The 12 pt. 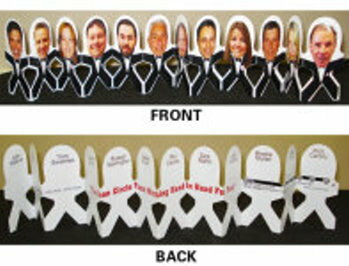 posterboard Paper Doll Chain can be customized with up to 12 different people or products on each chain in full color. On the back side you may have the bio of each individual or product. Minimum order is only 100.